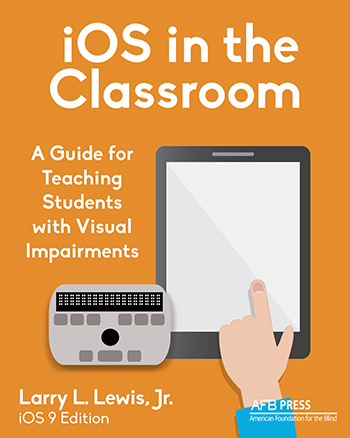 This resource provides teachers with helpful, easy-to-understand iOS technology instructions, allowing them to support their students in learning, and ensuring success in the classroom. ‘I am both honored and humbled to have such a globally acclaimed partner in AFB Press, the Publisher of this book. This organization’s commitment to leveraging technological know-how to provide equality within the classroom and workplace for vision impaired students mirrors my own personal passion for unleashing the very opportunities that such technologies provide to those of us who truly benefit from these solutions!” – Larry L. Lewis, Jr., President, Flying Blind, LLC. Available NOW in print, e-book, and online subscription. Order your copy TODAY using the link below! Or call (800) 232-3044! Savings: Offered here at approximately $1,500.00 USD off its suggested list price. ARCHIVE: Visit the 2016 AdapTech Insider Archive at: http://flying-blind.com/adaptech2016.html where you can grab back issues. CONTENT CONTRIBUTORS: Any information for future issues of Top Tech Tidbits may be directed to our Media Center, at: mailto:[email protected]. This article excerpt was sourced from the website Top Tech TidBits Blindness technology news (full copy) and the original article can be found at Adaptech Insider for Wednesday, April 6, 2016 - Volume 42.